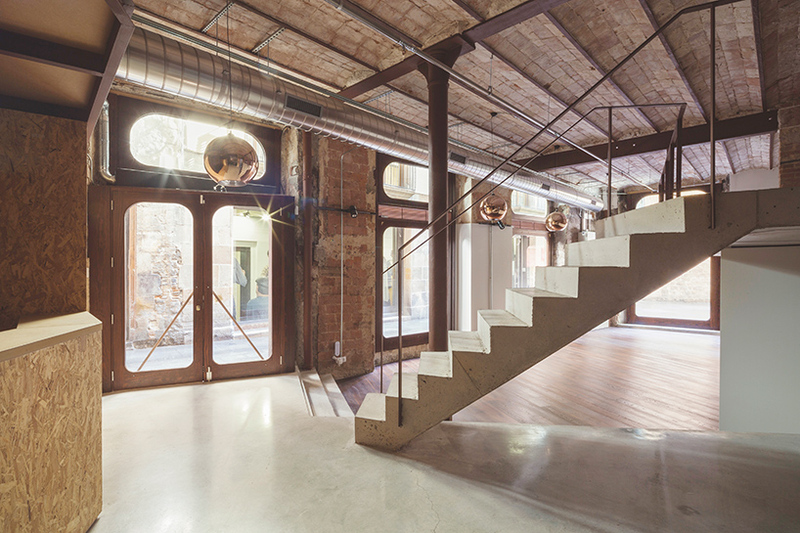 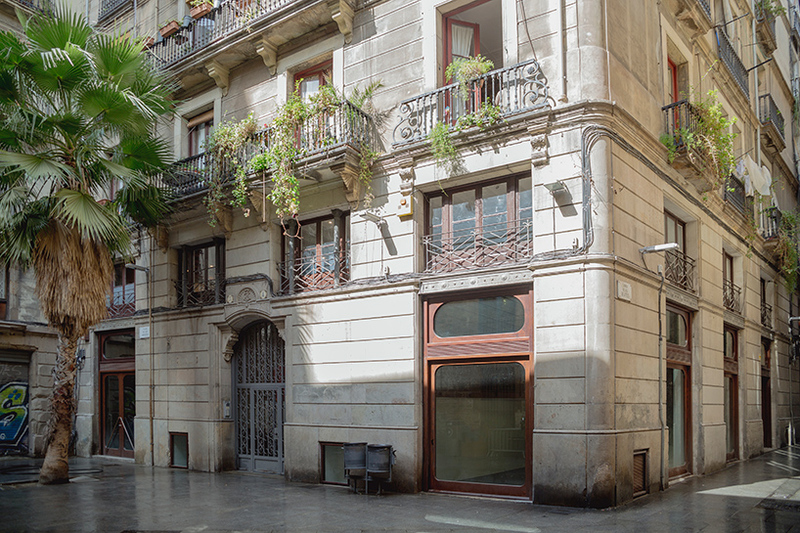 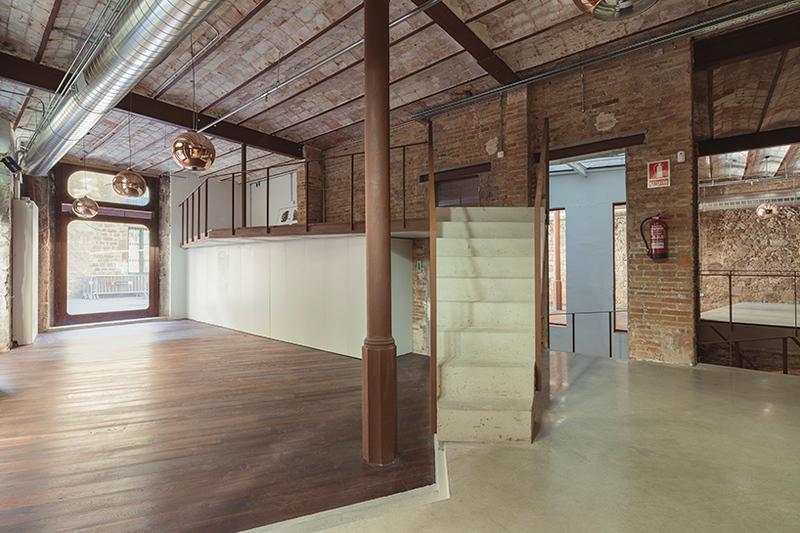 in the heart of the oldest sector of the city in barcelona, local practice nook architects have recently completed the renovation of a residential building originally built in 1900 into a commercial space/ showroom and design studio. 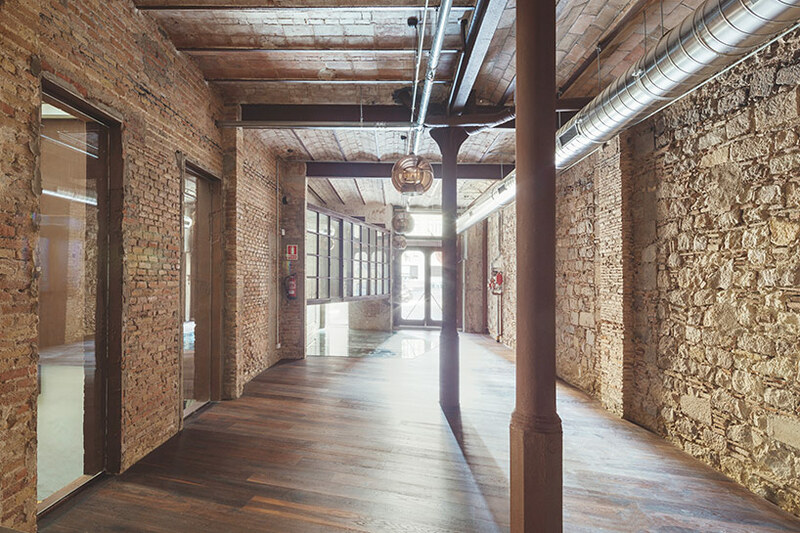 over decades the building was modified by each owner to suit a current need which led to a structure that, while reflecting many architectural and functional styles of the past, lacked overall planning. 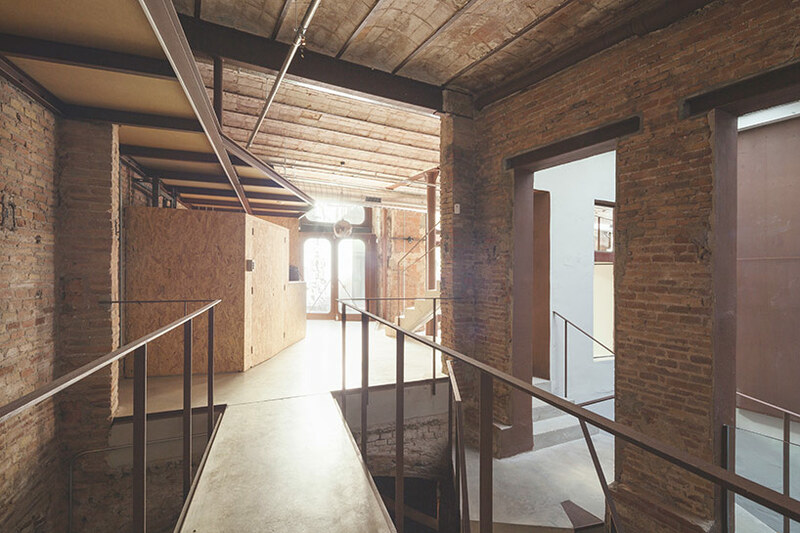 one of the first challenges the architects met was to develop interventions that would already update the building before even designing the added intervention. 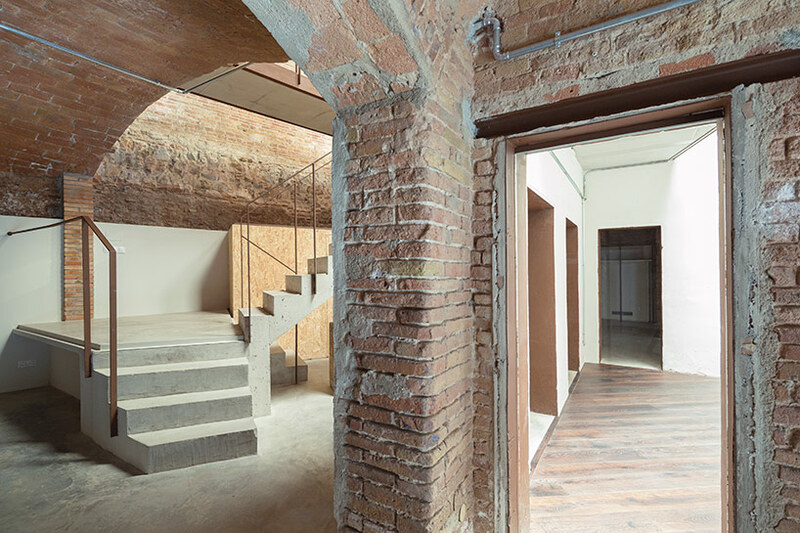 luckily, the site is located in between the main street and a square, providing the opportunity to revisit the overall circulation of the building and re-engage it with the public access. 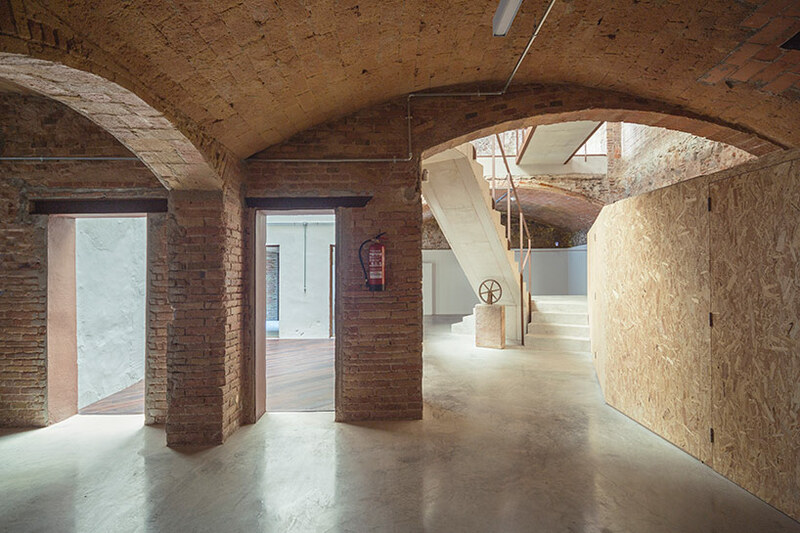 additionally, each floor of the building was built with a different structural system – the basement with masonry load bearing walls that transition into wide vaults, the ground floor with iron columns and steel beams, and the upper level with load bearing walls and wooden joists – adding somewhat of a challenge in re-designing but also offering the opportunity to exploit its structural versatility. 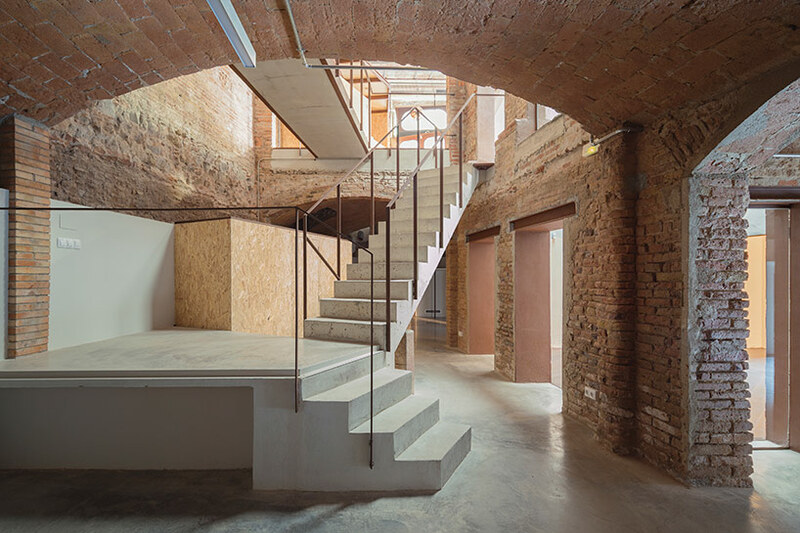 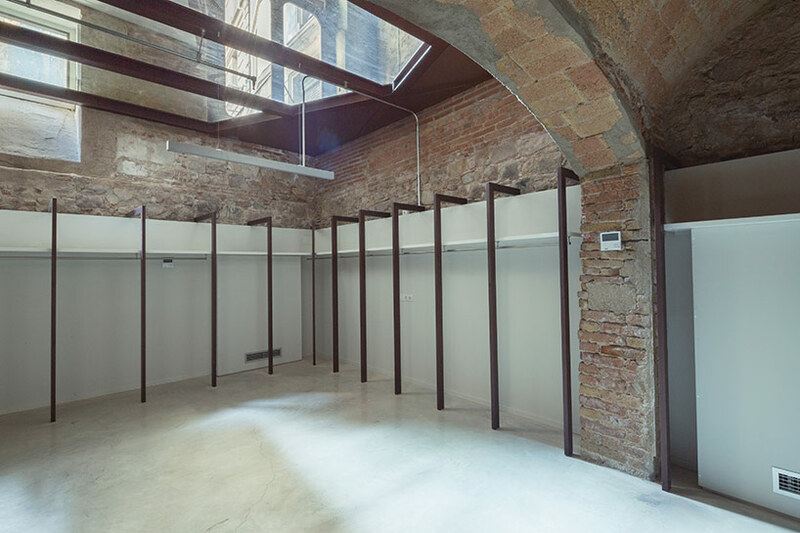 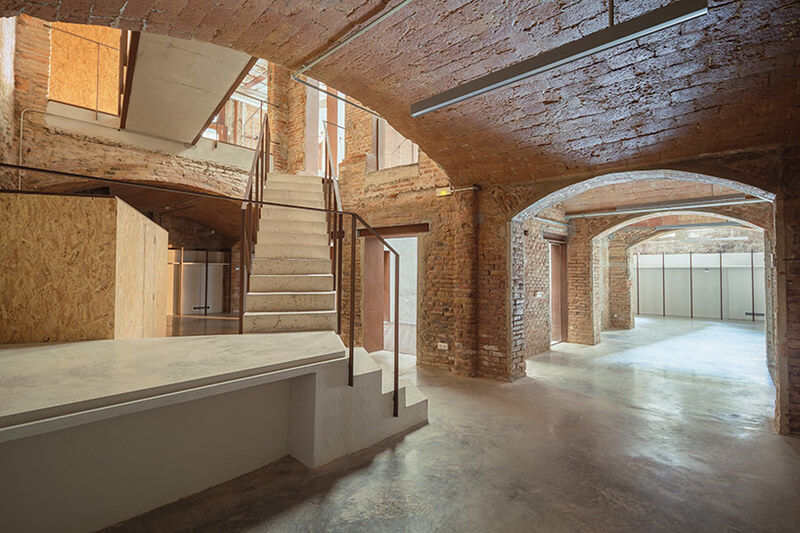 the first step was to improve the existing structure; bricked up openings facing the square were re-opened flooding the interior with natural light and reactivating the relationship to the square. 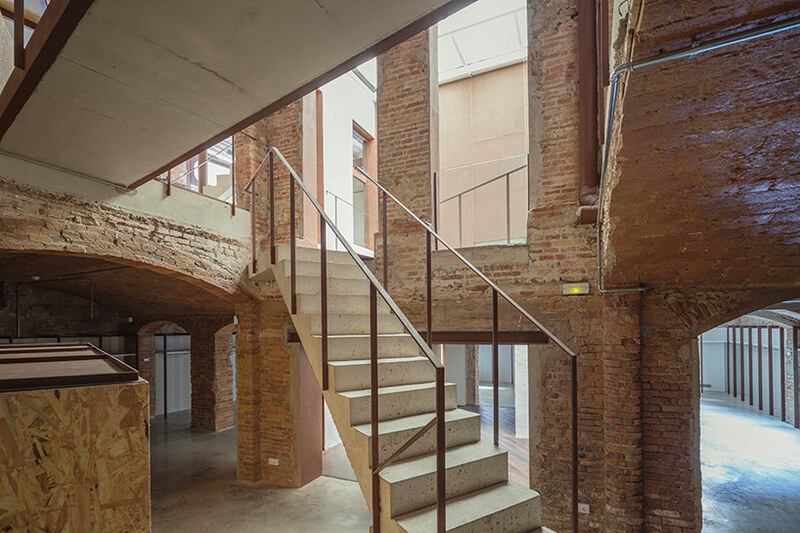 a central stairway was created in a full-height atrium in the center of the building creating a u-shaped floor plan that naturally subdivides the spaces, meanwhile another staircase was removed and relocated to the rear of the building to free up space for the store and control vertical circulation to better suit the two-level design studio. 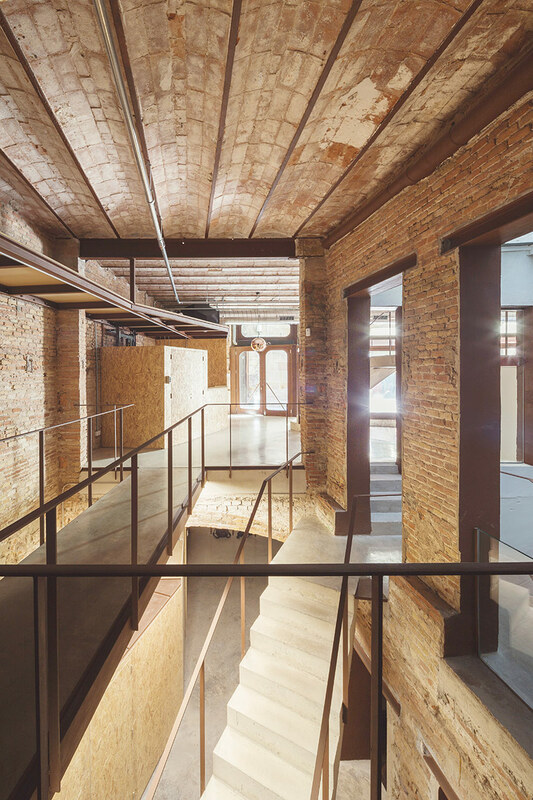 new openings were created on two of the exterior walls allowing pedestrian access to both the showroom and studio individually and immediately off the street. 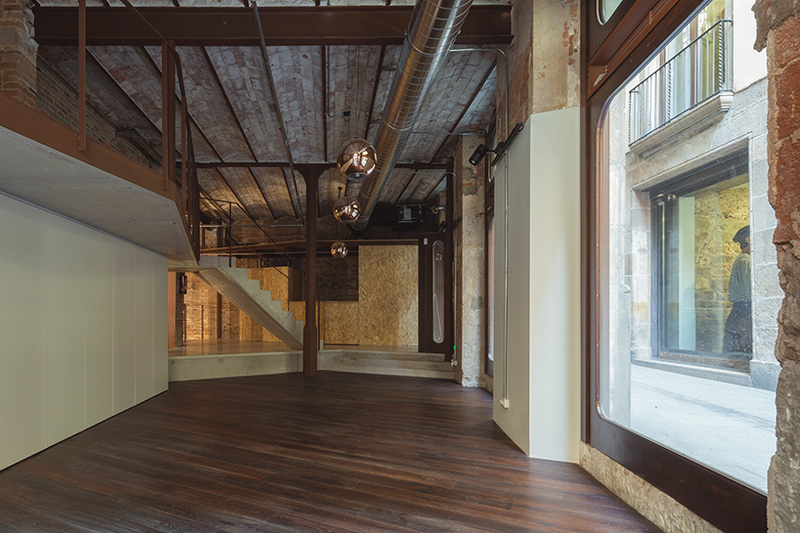 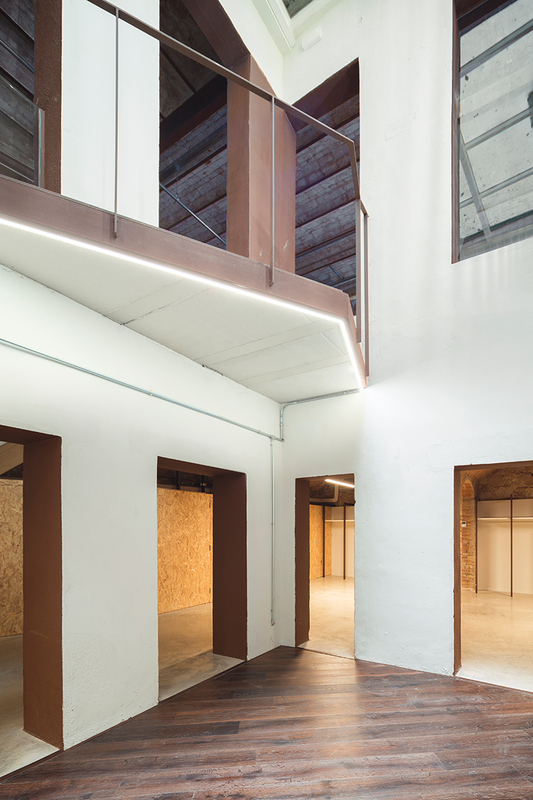 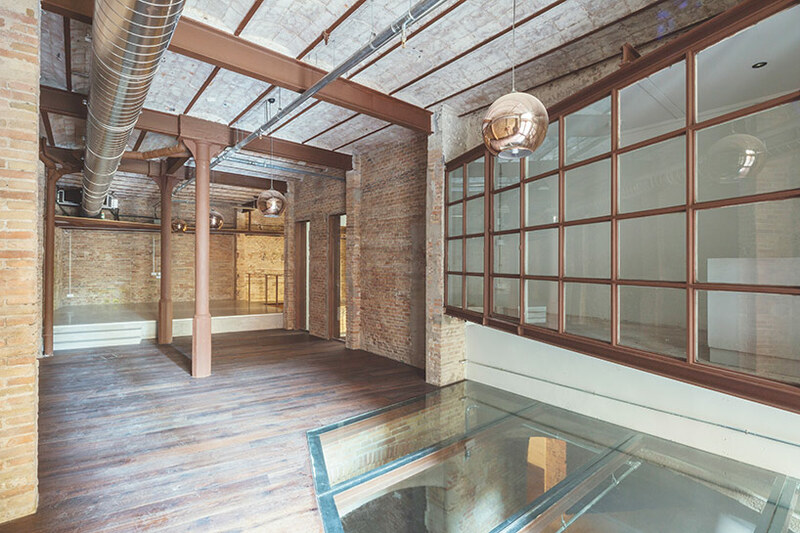 on the ground floor, the showroom and store face the public way while the basement contains the offices and production area for the design studio. 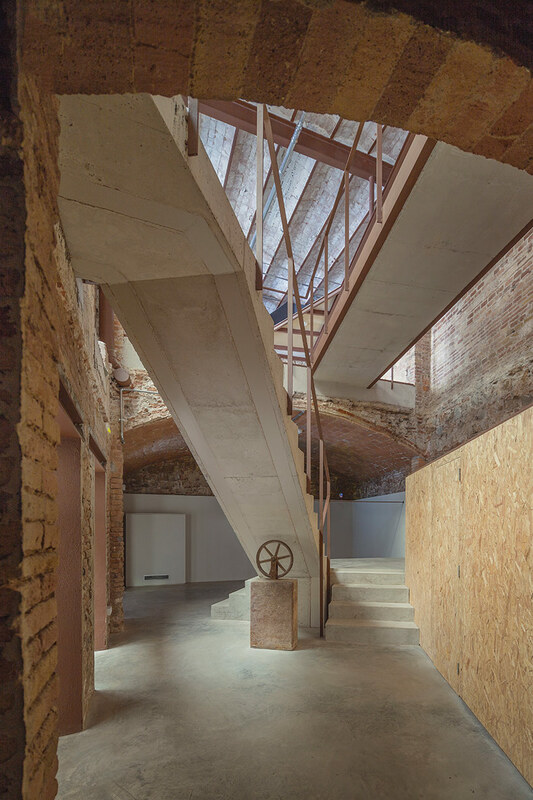 the new structure took on an aesthetically different but appropriate feel. 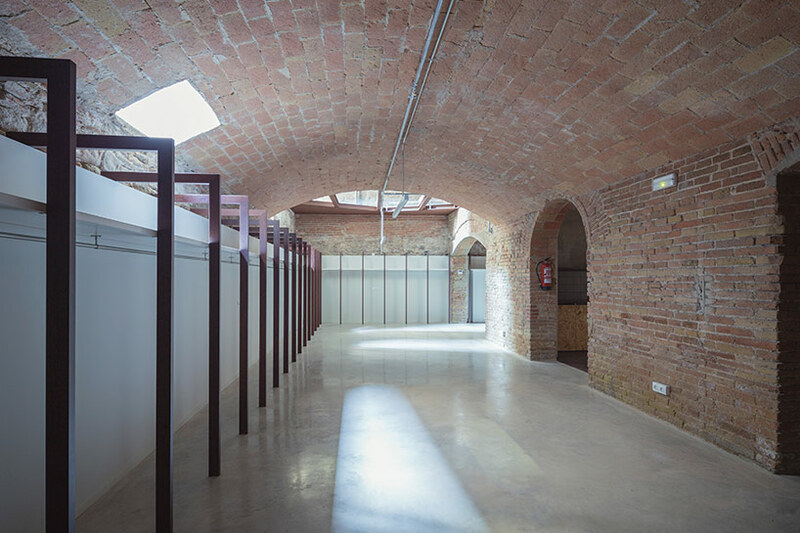 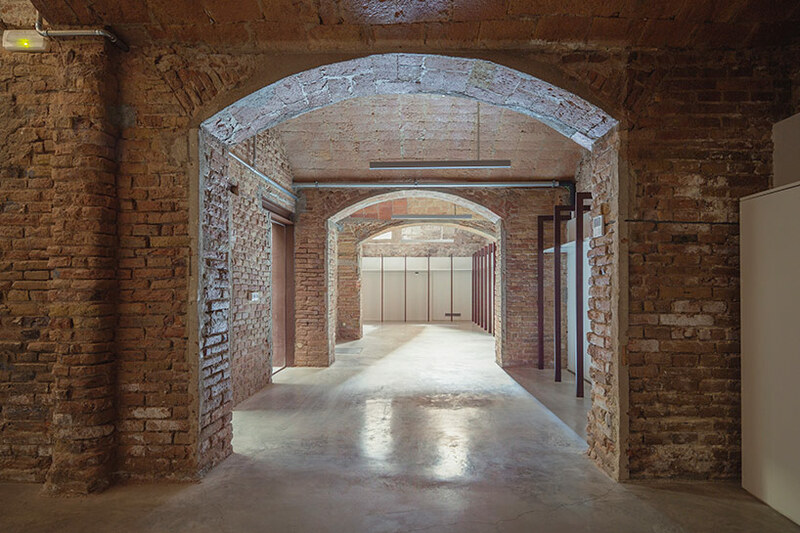 smooth concrete surfaces provide a clear contrast to the rugged textures of the original brick walls while maintaining the same industrial ambiance. 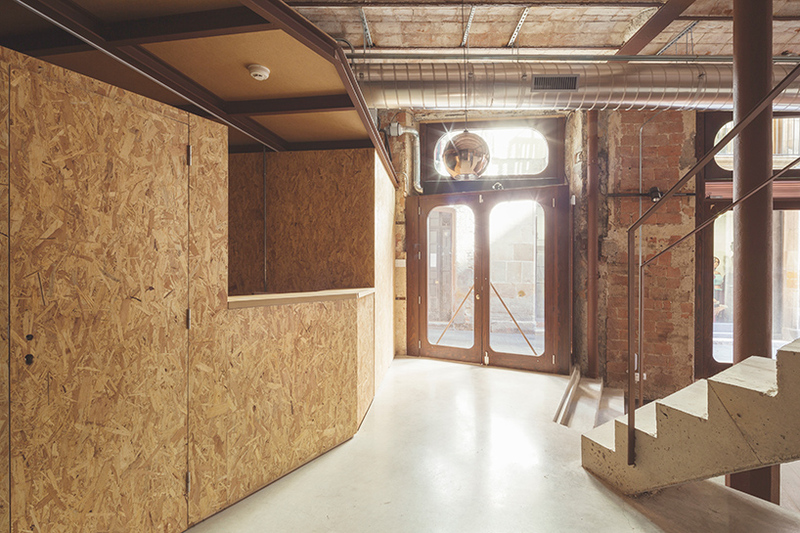 thin steel railings mirror the frames of the internal doorways and osb wooden sheets inject a touch of warmth. 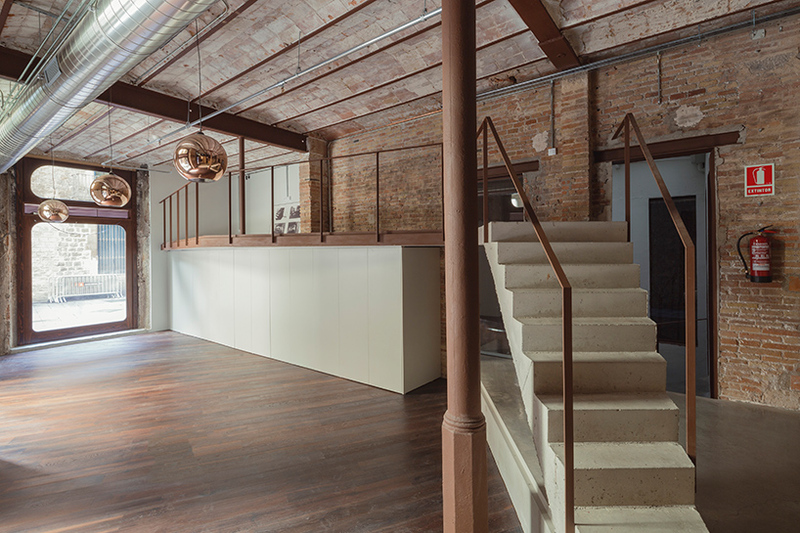 one of the primary goals of the project was to gain as much natural light in both the upstairs and downstairs. 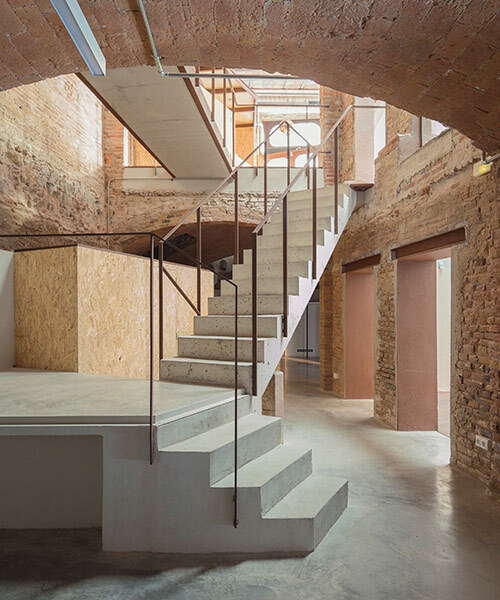 the original removed staircase left an opening in the ground that was left intact and covered by structural glass panels that light up the work spaces below. 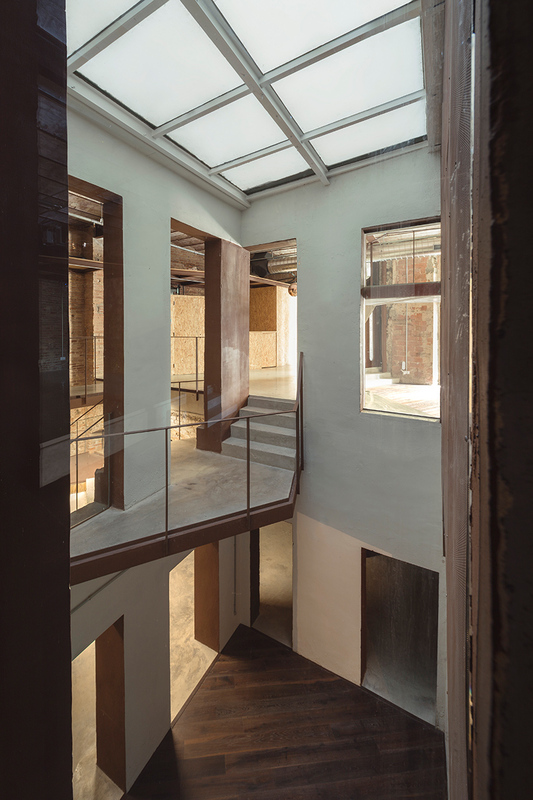 the central atrium and newly opened walls insure natural light and ventilation throughout the day.